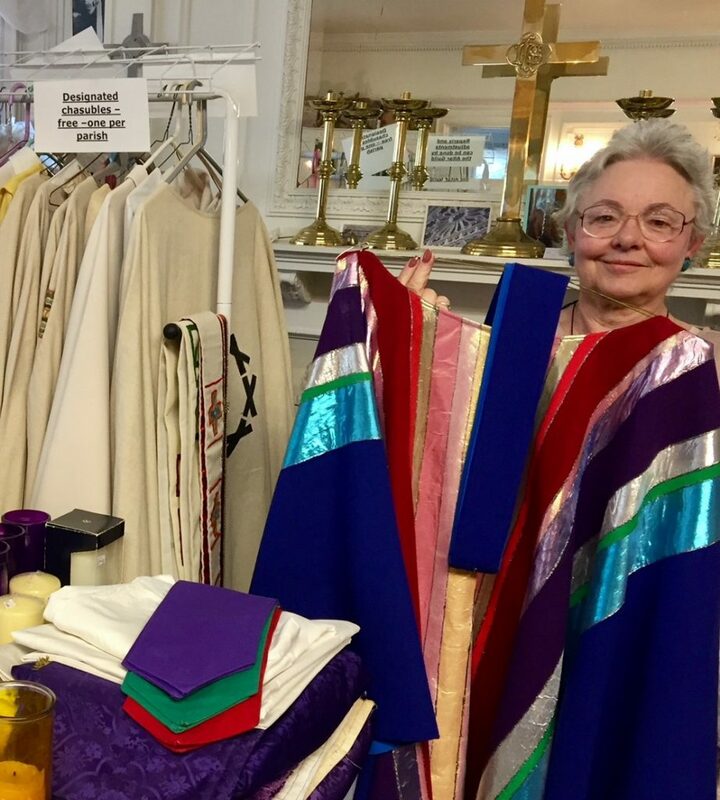 Is your parish missing liturgical vestments that seem too costly to replace? We may have what you need at a very low, second-hand price – or maybe free! Have you wondered if a certain item, or style would work? We do loans of 1-24 months, with allowances for special situations. We have many excess chasubles which are available free – one per parish or institute. Check out our A – Z List of Resources & Supplies on the Diocesan Website. You may also call the Diocesan Altar Guild direct: 206-826-7211. We are in Tuesday and Wednesday from approx. 10:00am-6:00pm, or leave us a message with a phone number. Small group tours are welcome!